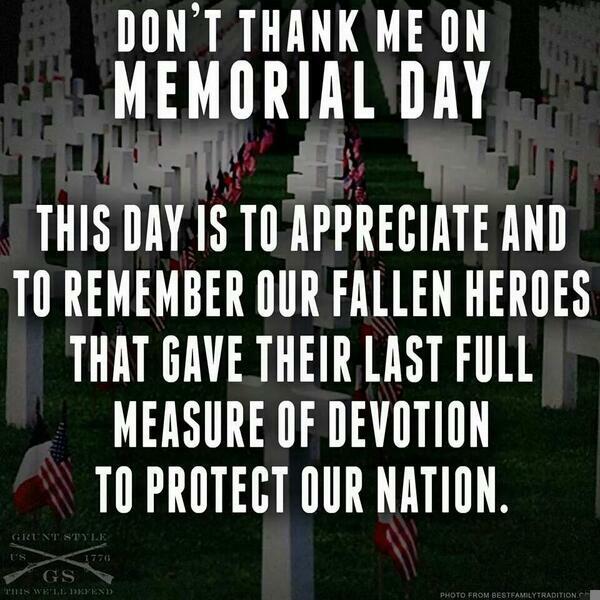 Memorial Day is not a day to thank veteran's... I am a disabled Iraq war veteran myself and find it insensitive when people thank me for my service on this day. Its not a day to thank those who came back whether injured or not. Its a day to reflect and appreciate those who gave the ultimate sacrifice (whether the war was warranted, populuar or unpopular). I won't be online most of that day as I'll be at Fort Snelling's cemetery visiting "old friends". So keep this thought in mind, and I really try to live this quote on days such as this. I'll drink one for them. Rest in Peace. powerful stuff mate, RIP fallen soldiers.